"Revealed! - 5 Of The Biggest Mistakes That Corporate Telecom Buyers Make When They Shop For Telephone Service - And How To Avoid Them" - You'll get it instantly, along with our monthly E-Zine "Insider Telecom Tips!" 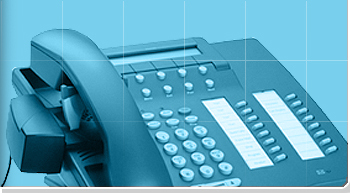 Does your organization often spend more than $2,000 per month on telephone service? Do you have the feeling that your company's phone bill is much higher than it should be but don't really have the time or the expertise to fully investigate it? Are you challenged by the confusing and often deceptive marketing and billing practices in the telecom industry? Do you distrust telecom salespeople because they're out for their own interests, not yours? "We Cut The Fat Out Of Your Phone Bill"
Before we go any further, let’s agree that even if your organization's telephone bill is 10 times what it should be (or could be), as a business owner or manager, you're not the only one. The training that you completed for your career or business didn't include a course on how to read a phone bill or negotiate for the best rates. And the phone companies know that. They're experts at convincing busy people like you that their rates and service are the best even when they're not. You can avoid falling victim to confusing bills and deceptive marketing. You can get assurance that your organization will always pay the right amount even when the bill is wrong. You can eliminate the need for you or your staff to spend any time checking the phone bill. You can have an expert on your side who knows all the tricks of the trade and how to make sure that the phone company doesn't take advantage of you. There is a solution! TBRC Cost Recovery, LLC will recover any overcharges from as far back as 6 years ago! We'll also save you money going forward. If we don't do either, you don't pay us. It's that simple! Copyright © 2004-2017 TBRC Cost Recovery, LLC. All Rights Reserved.